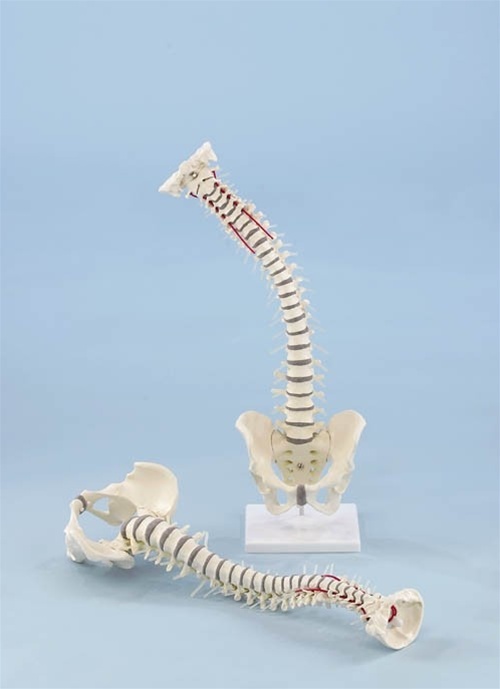 The Flexible Vertebral Column with Pelvis is a high quality natural casting of a life size human vertebral column with removable pelvis. 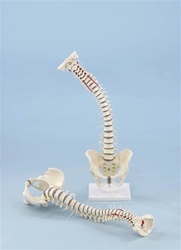 It is mounted on a flexible metal spiral hose, which makes the vertebral column both robust and highly mobile. The special flexible intervertebral discs behave like natural intervertebral discs. The spinal nerves and vertebral artery are also represented.